The name Berber comes from an Arabic name for the aboriginal people west and south of Egypt. Contrary to the romantic, popular image that portrays Berbers as nomadic people who cross the desert on camels, their main activity is sedentary agriculture. Nowadays, besides the traditional means of living, there is a new element which is part of the economy of Berber families, namely income from the large number of immigrants in Europe, especially in France. 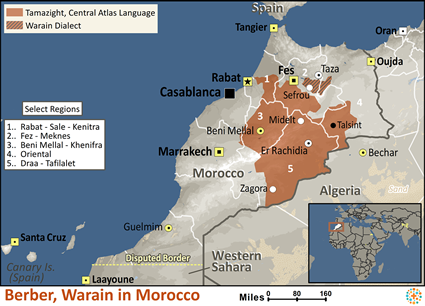 Morocco is closed to Christian missionaries. Creative approaches to ministering to the Berbers are required. Gospel radio and recordings, and the Jesus film are available in the language of the Berbers. Literature and Scripture are often made available on the docks of southern Europe as these people who work in Europe go home for holidays. There are few if any believers among the Warain Berbers at present, but pray for those who will become believers. Pray that Christ may dwell in their hearts through faith. Pray for the Lord to multiply the reception and influence of His Word among the Warain Berbers, leading them to love Him with their whole being. 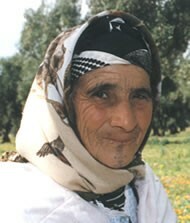 Pray that the Berbers, mainly Christian before the 7th century, will once again know and follow Christ the Savior. View Berber, Warain in all countries. 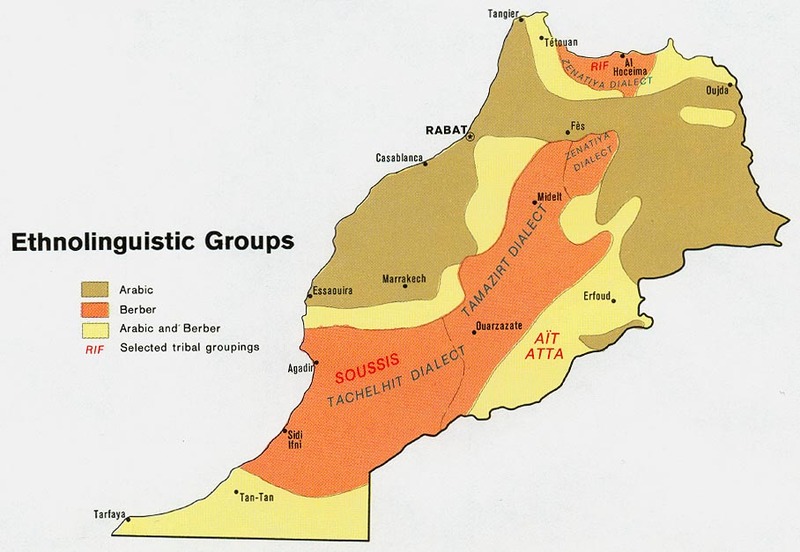 Location in Country: Widespread, especially Middle and east High Atlas Mountains, adjacent valleys to Taza, Rabat area; 1,200,000 in rural areas between Taza, Khemisset, Azilal, Errachidia; 100,000 outside the language area.